I have joined Internations* last year in October on a free membership. For starters, there are newcomer events – so I went to a nice afterwork-like party on a weekday in a Mitte bar. A really international crowd, more or less everyone in the rounds was from another country. 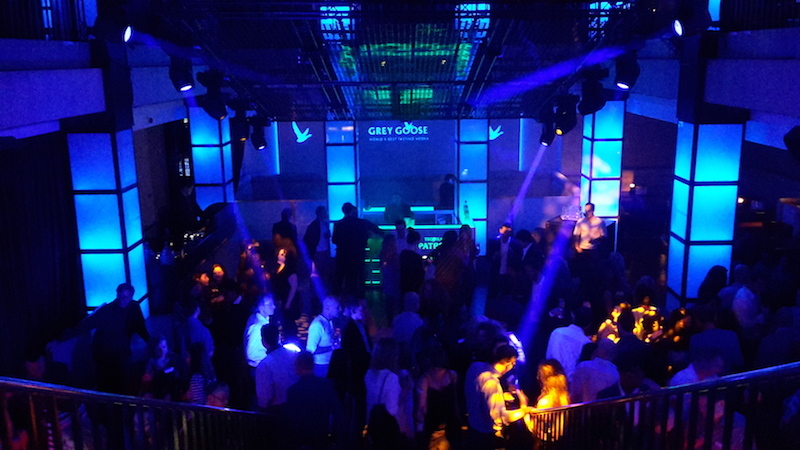 At that moment, I already upgraded my membership to a paid one – it’s around 7 EUR per month and gives you free access to all the regular events, including a welcome drink. Which I guess pays off really well: Less than 2 EUR for a nice party including a drink, that’s not too bad. About the people: As the name says, it’s a very international audience – but not only. Feels like at least 20% are Germans who like international crowds and love to practise foreign languages (basically what I am 😉 ). Ages range mostly from 25 to 40, and it’s exclusively people who come from another country or lived abroad for some time. At the entrance of a party, everybody gets a tag with their name and their home country on it… which might feel a bit odd at the beginning – but in fact, it really makes meeting new people much easier: “Oh, you’re from Poland, I’ve spend my Erasmus exchange there..” is a typical conversation starter. Speaking of Erasmus, I feel like Internations is kind of an “Erasmus for Adults”: You’re being abroad, partying with an international community – and often running into the same people at the various events. So even if you go out alone, mostly you will meet at least someone you already met before. 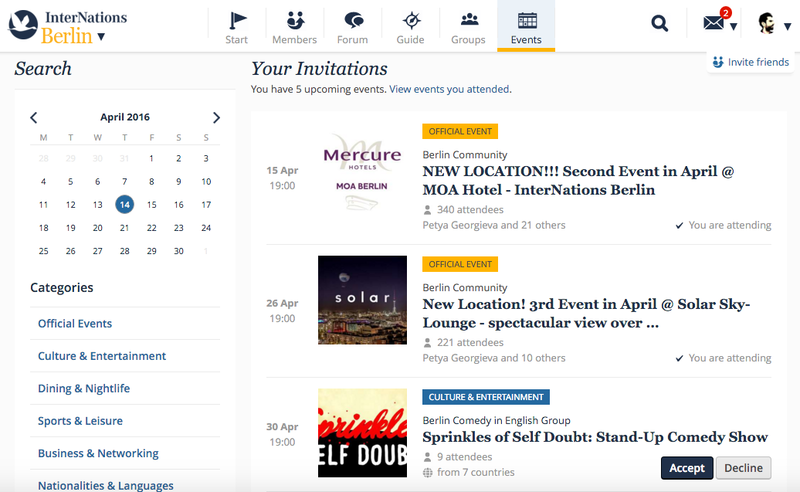 But Internations is not only limited to these events – it’s also a website with a social network: You can connect with the people you met at the events, and join forums and groups on various topics. These groups, like “Berlin Comedy in English Group”, “Berlin Language Group” or “Berlin Single Group” organize their own, additional events. And: It’s not only limited to Berlin: Internations is active in 390 cities, so in case you move somewhere else or just go on holidays to another city, you can keep going to the events there and quickly meet locals. Oh, what I forgot: The events start pretty early, already at 7 or 8pm. For Berlin, this is like afternoon – so either you can come to Internations because you are an early-riser and don’t want to wreck your sleeping rhythym – or you use the events as a prequel for your Friday/Saturday night and go to other places afterwards. So, to sum it up: For me as a German, I like that community because I love being in international crowds. But especially if you are new in town, Internations is probably a great place to start your party and social life.